This cruise goes out and in on our larger vessel the Thomas Laighton. Spend the afternoon on Star Island. 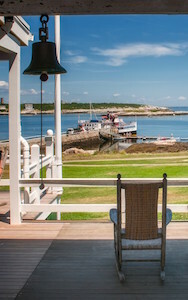 This cruise lets you experience our Isles of Shoals and Portsmouth harbor tour on the Thomas Laighton and stay for the afternoon on Star Island! You’ll spend approximately 3.5 hours exploring Star Island. A map of the island with historical highlights will be provided.